If you've decided to plan a romantic weekend getaway to Nantucket, the restaurants that made our list offer a great way to relax, reconnect and celebrate in a unique setting. 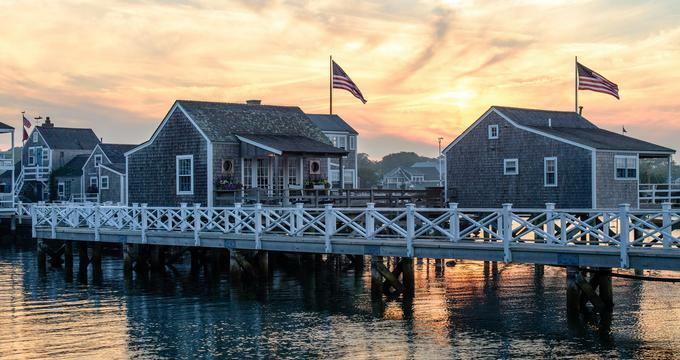 Dine with a view of the water, stop at a restaurant located in a historic building, or try a popular local Nantucket bistro for lunch or dinner. Located on the water’s edge in a beautiful locale on Nantucket Harbor, CRU Premier Oyster Bar is an elegant restaurant that blends traditional seafood favorites with timeless classics from the grill, and they are known for their fresh oysters and fine wines. High ceilings, exposed brick, and wooden finishes add a nautical feel while beautiful views flood in through large multi-paned windows. 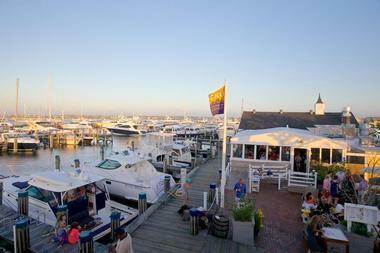 The restaurant’s signature dishes range from Royal Oscietra Caviar, Nantucket Lobster Cocktail, and Grilled Atlantic Swordfish, as well as fresh oysters of the day. A separate bar is an ideal place for a drink before or after dinner or an informal business meeting, and it features a lengthy list of wines, champagnes, and cocktails. 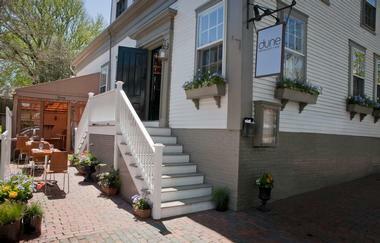 Fairly new to Nantucket, Dune is an elegant restaurant that offers diners a unique dining experience in the heart of the seaside town. Featuring three distinct dining rooms adorned in sophisticated, stylish décor, an exotic quartzite bar, and a beautiful outdoor patio that is ideal for alfresco dining, Dune presents a menu of traditional American cuisine with an infusion of contemporary flavors. Overlooking the working hub of Nantucket’s harbor, the Straight Wharf is an award-winning restaurant serving fresh seafood and ocean-inspired fare for lunch, dinner, and weekend brunch. Boasting a laid-back, inviting vibe with a vibrant cobalt-blue dining room adorned with nautical prints and comfortable tables and chairs, the Straight Wharf Restaurant is ideal for quiet lunch, crafty cocktails at sunset, or an enjoyable dinner with friends. Made from fresh, locally sourced ingredients, timeless seafood dishes make their mark, and include starters of iced island creek oysters with Meyer lemon granite and yellowfin tuna conserve with preserved lemon and salsa verde followed by mains of harpooned local swordfish with summer squash spiced yogurt and wood-grilled sirloin served with roasted apples, savoy, and maple-chili vinaigrette. End on a sweet note with warm banana cake and chai cream, dark rum cheesecake coconut, or a platter of artisan cheeses and red wine crackers. An elegant bar serves an enticing range of cocktails and a diverse selection of wines and spirits from around the globe. 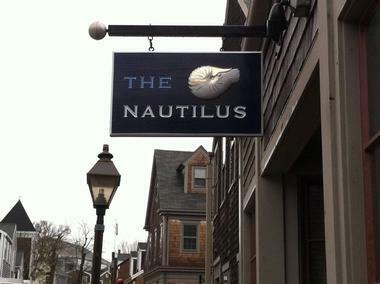 The Nautilus is one of Nantucket Island’s newest dining destinations. Located just steps from historic Main Street, this comfortable eatery features a beautifully restored “rustic-meets-modern” dining room with stylish banquette seating and an oversized captain’s table, a special chef’s bar overlooking a bustling open kitchen, and an elegant craft cocktail bar. Giving diners the freedom to choose their own culinary adventure, the menu features globally styled dishes created by Chef Liam Mackey, which focus on interesting small plate offerings and large multi-person sharing platters of New England seafood with a Japanese sushi and Spanish tapas-style twist. 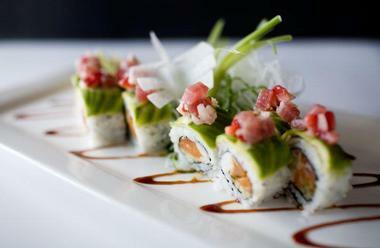 The cuisine is accompanied by an array of culinary-inspired craft cocktails, local and micro-brews, and over 250 selections of wine and sake from around the world. 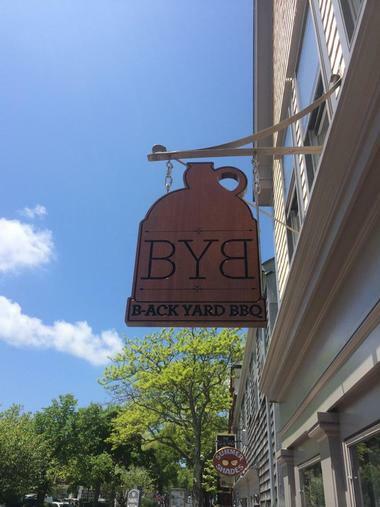 Located on the Straight Wharf overlooking Nantucket’s harbor, B-ACK Yard BBQ is a casual, family-friendly restaurant that pays homage to the finest barbecue through prime cuts of succulent meat served with a variety of mouth-watering sauces, freshly made sides, and a selection of brews and wines. The Proprietors Bar & Table boasts a stylish and sophisticated dining space and casual ambience in which to enjoy a distinctly Nantucket dining experience. Dove-grey walls, rich décor, and modern works of art complement beautifully dressed tables, and friendly, professional staff offer outstanding service. A seasonal menu presents traditional dishes with a global twist that also embrace local ingredients harvested from small Nantucket and New England farms. Chef Michael LaScola creates an adventurous menu of shareable plates and hot dishes with a strong focus on freshly caught seafood, and imaginative grain and vegetable presentations. An award-winning wine list features carefully curated Old and New World wines from small local producers that can be enjoyed by the glass or bottle. 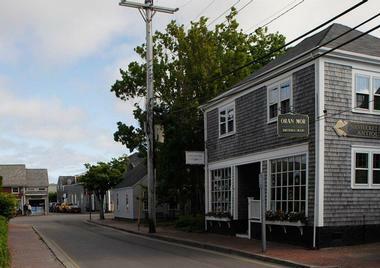 One of Nantucket’s most loved restaurants, Lola 41 is a casual eatery that offers a bistro-style and sushi menu in a laid-back, friendly atmosphere. Dark wood and deep shades adorn the interior of the restaurant while metal accessories add a modern touch. 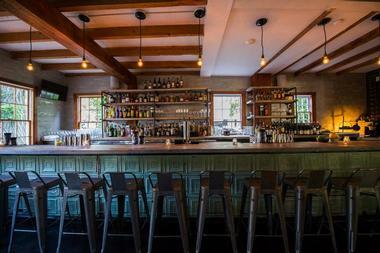 Their sleek full-service bar is the perfect place to enjoy a pre-dinner drink with friends. While the focus is on fresh sushi, the bistro menu does offer a variety of global and contemporary dishes such as burgers, macaroni and cheese, and gnocchi Bolognese. An extensive wine and sake selection goes well with the delicious food. With humble beginnings as a clam shack on Cliffside Beach, Galley Beach has grown into one of Nantucket’s top seafood restaurants. Owned and operated by the Silva Family since 1958, the recently renovated eatery has garnered awards for its exquisite coastal cuisine, décor, and ambiance. Executive Chef W. Scott Osif combines the best of locally caught seafood with fresh ingredients sourced from regional farms and producers to create inspiring and imaginative menus whose items are impeccably presented and served against a backdrop of breathtaking beach and ocean views. Expect starters of tuna sashimi, kale and quinoa salad and honeycomb tripe, and tomato and olive stew followed by mains of Nantucket fluke with sushi rice, fresh sea scallops, and Wagyu beef short rib with rosemary polenta. End on a sweet note with carrot cake, chocolate torte, and lemon-lime mousse. 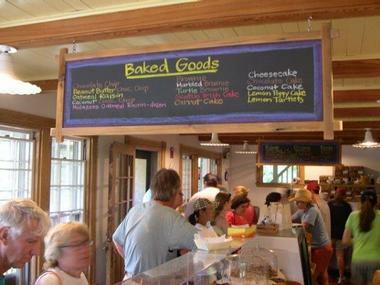 Something Natural is a favorite sandwich shop and bakery located on Cliff Road that bakes fresh bread, pastries, cakes and award-winning cookies on a daily basis. Freshly baked products can be bought and taken home, or you can enjoy them in the casual, inviting café and beautiful surrounding gardens. Relax at wooden picnic tables and tuck in to handmade sandwiches piled high with delicious fillings ranging from roast beef, smoked ham, lobster, tuna, and turkey, accompanied by fresh salads, vegetables, and sides. Something Natural’s gorgeous garden is perfect for lunch with the kids. 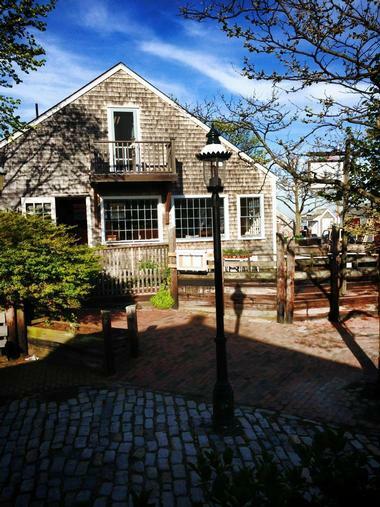 Located in a historic whaling captain's mansion built in 1831, The Ships Inn Restaurant offers diners one of Nantucket's finest dining experiences between the months of May and October. Tucked away below street level and exuding a charming colonial atmosphere, the cozy restaurant is an ideal venue for an intimate dinner for two or an elegant gathering with friends. Showcasing his world-renowned culinary skill and creativity, Chef Mark Gottwald presents a menu of American classics with a distinct French influence. You will find an array of special signature dishes such as mouth-watering grilled sea scallops with black truffle hollandaise, maple cured house smoked salmon, grilled fluke with lemon thyme beurre blanc, and mustard-crusted Colorado lamb loin lentils with pomegranate lamb demi. Fog Island Café is a casual, family-friendly café that serves a range of delicious, handmade soups, salads, sandwiches, snacks, and light meals for breakfast and lunch. Conveniently located off Main Street and just around the corner from the steamship ferries, Fog Island Café is the perfect place to stop for a quick bite to eat, enjoy a casual lunch with friends, or grab take out on the run. Owners Mark and Anne Dawson use the freshest, locally sourced ingredients to create their mouthwatering food and have been serving both locals and visitors to Nantucket for over 23 years. 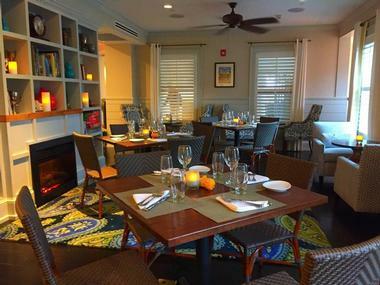 Conveniently situated in the Meeting House Building just a short walk from Nantucket Town, the Centre Street Bistro is a vibrant and welcoming spot that offers continental cuisine and impeccable service. Owners Tim and Ruth have created a cozy, comfortable interior that boasts bright, colorful décor where guests can enjoy a signature cocktail, beer, or glass of wine on the patio before dining. Focusing on classic American fare made with locally sourced ingredients, the menu features a range of tried and tested classics – from goat’s cheese tarts and tacos to seared salmon, tofu pad thai, and roasted duck breast, all served with freshly made salads and sides and accompanied by an excellent selection of beers, wines, and spirits from around the globe. The Centre Street Bistro is open for lunch and dinner during the week and breakfast on the weekends. Company of the Cauldron offers a dining experience like no other. Soft candlelit hurricane lamps, fresh flowers, and the beautiful tinkling harp music of Mary Keller create an intimate ambiance, making it one of the most charming restaurants on the island. The lovely eatery serves one New American Prix Fixe menu in two seatings each night so that all diners are served the same cuisine, which creates a private dinner party ambiance. The courses are posted weekly on the façade of the restaurant, allowing patrons to check what the restaurant is serving. Typical menus might include delectable dishes of grilled shrimp, beef Wellington, and vanilla pannacotta, while Monday’s single seating always includes lobster prepared four ways (bisque, salad, steamed, and grilled). A knowledgeable sommelier will help you select the best wine for the meal, your tastes, and budget from the excellent wine list. Relaxed, inviting, and convenient, Oran Mor Bistro is the perfect place for a drink or a quiet dinner for two. 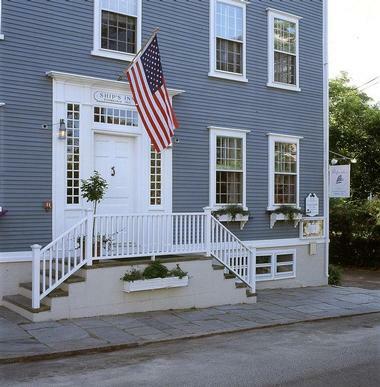 Located in a historic Nantucket home and boasting beautiful décor in earthy tones and a flight of original copper stairs, the cozy eatery has an intimate bar and three elegant dining rooms that set the tone for the exquisite food to follow. Owned by Chef Chris Freeman and his wife Heather, the Bistro relies on a cooking style of divine simplicity with each dish showcasing native seafood, fresh local produce, and naturally raised meats from select farms. The sleek bar echoes its heritage with wooden flooring, a classic pen and ink bar top, and gaff-rigged wine glass racks, and it presents handcrafted cocktails and wines from small American producers, France, and other countries around the world. 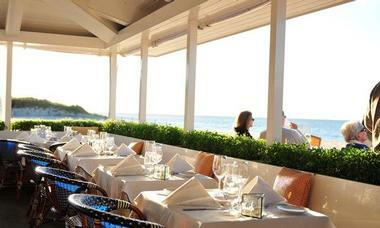 Café chic meets modern bistro in the Breeze Bar & Café at the Nantucket Hotel and Resort. Offering a vibrant and contemporary atmosphere with fantastic open plan dining spaces, Breeze Bar & Café is an ideal spot to relax with friends or enjoy a casual dinner for two. 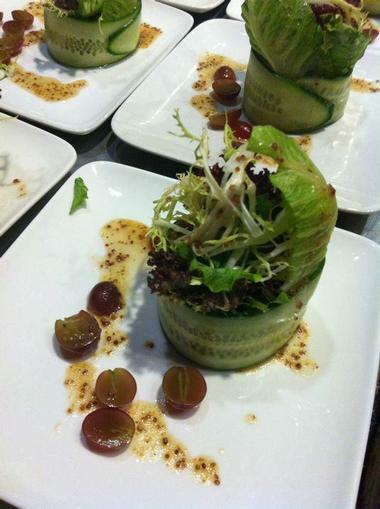 Breeze Bar & Café serves delicious lunches that are simple and light, and they offer a choice of salads, sushi, and sandwiches, as well as a selection of warm dishes. The dinner menu presents an array of European-inspired fare accompanied by a variety of sides and salads, including grilled salmon, seared duck breast, shrimp scampi, and lobster risotto. Enjoy a cocktail at the bar before dinner or relax over a nightcap of imported whiskies and spirits.